WERA-097: This project has insured effective programs are in place for monitoring and managing important and emerging diseases such as stripe rust, leaf rust, stem rust, and head blight, as well as persistent diseases in small cereal grains in the western United States, resulting in reduced crop losses for producers and cost savings from reduced pesticide applications. Issue: Growers, Extension personnel, and scientists need to manage diseases of small cereal grains. Increased intra-regional cooperation and rapid exchange of information regarding techniques and management strategies will result in effective solutions through early identification of new and emerging cereal diseases and timely implementation of management options. Given the renewed importance of rust diseases, members of WERA-097 reviewed procotols monitoring stripe (Puccinia striiformis), stem (P. graminis), and leaf (P. recondita) rust populations. Plans were made to optimize state monitoring as well as to coordinate with rust experts to provide a more comprehensive assessment of population (race) changes. Members of WERA-097 devised monitoring sites and procedures for High Plains disease of corn and wheat to identify potential inoculum sources. A network of committee members continues to survey for Karnal bunt in wheat throughout the region and has played an important role in determining how best to handle this disease when it is found in states outside the initial infestation sites in California and Arizona. WERA-097 members have assessed nematode populations in most of the northwestern United States to address new information about losses due to root lesion nematodes and cereal cyst nematodes in wheat production. WERA-097 educated its own members and other invited academic and industry participants, such as the Western Wheat Workers, on new approaches for controlling chronic disease problems (e.g., take-all root rot and Fusarium crown rot) and on the importance of newly identified pests such as nematodes in some semi-arid regions. 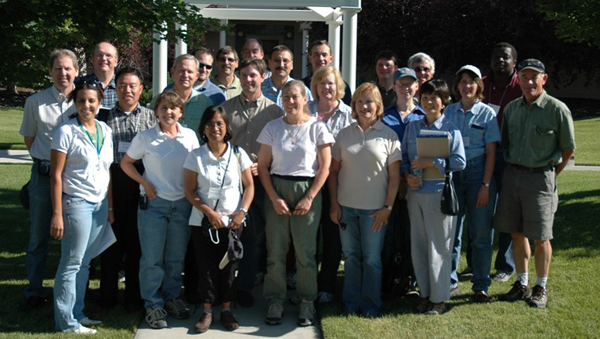 Participants have acquired the technical knowledge to evaluate potential pest problems within their own states. 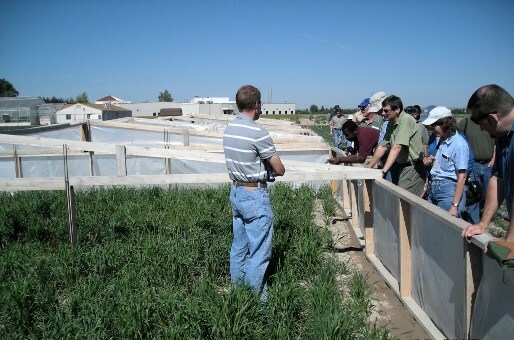 WERA-097 maintains a Web site (http://plantsciences.montana.edu/wera97/Default.htm) and an electronic mailing list server (wcc97@listserv.montana.edu) to enhance communication and coordination. These serve committee members and the committee’s clientele by providing useful information in a timely manner and permitting rapid dissemination of information. In addition, WERA-097 has been actively involved in facilitating the publication of materials regarding cereal diseases for use by farmers, extension personnel, and researchers. Following discovery of Karnal bunt in the Pacific Northwest (PNW), the quick response to achieve containment and ongoing monitoring for new occurrences of the disease allowed grain exports from PNW states to continue. In contrast, the quarantine of Arizona and California due to Karnal bunt prevented export of grain from those states. As a result of WERA-097, pathologists in Kansas were provided with barley yellow dwarf (BYD) virus-resistant germplasm for inclusion in a “crossing block” to be used to enhance resistance to BYD in winter wheat cultivars. This could save wheat producers in Kansas $13.4 million per year. Research by WERA-097 members that resulted in improved resistance to eyespot in winter wheat cultivars led to a significant reduction in crop acreage treated with fungicides for control of this disease. It’s estimated that the wheat industry in Washington saves $5 million annually in fungicide costs alone by not treating for this disease. Data presented at WERA-097 meetings showed that a new race of the wheat foliar pathogen Septoria tritici developed in far-western states and that resistance in existing cultivars was not effective against it. Concerned that a similar situation might develop in Kansas, isolates from Oregon and California were sent to Kansas for laboratory comparison to Kansas isolates to help predict whether resistance currently deployed in Kansas cultivars would remain effective. Although a few diseases of small grains, including Fusarium head blight and Black stem rust race UG99, have high visibility and national funding, substantial damage to small grains results from endemic diseases that do not have high visibility or national funding. Continued research on endemic diseases thus needs to remain a priority through support of positions and formula funding.